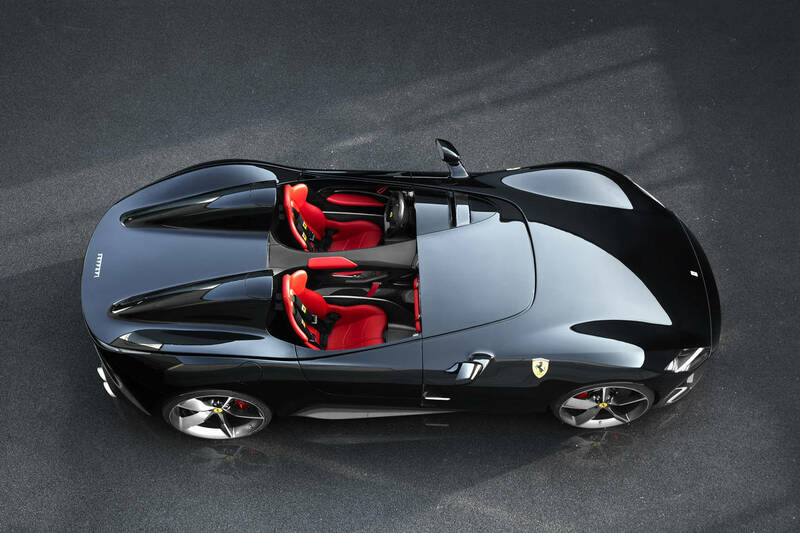 Meet the Most Powerful Ferrari Road Car Ever Created! 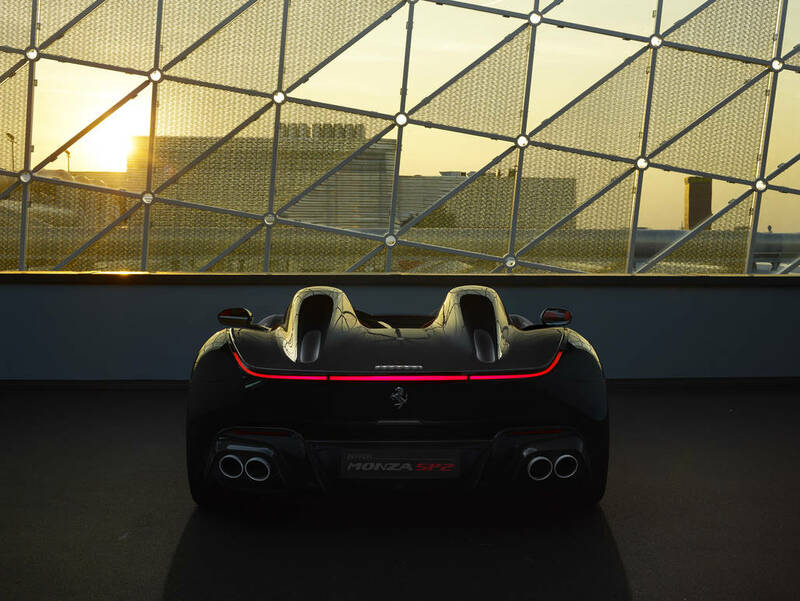 The new Ferrari Monza SP1 and SP2 have been unveiled on occasion of the company's Capital Market's Day at the factory in Maranello. These limited-edition special-series cars are the first in a new segment called 'Icona' and draw inspiration from the most evocative Ferraris of the 1950s and feature the most advanced sports car technology available today. Maranello, 18 September 2018 – The new Ferrari Monza SP1 and SP2 have been unveiled on occasion of the company’s Capital Market’s Day at the factory in Maranello. These limited-edition special-series cars are the first in a new segment called ‘Icona’ and draw inspiration from the most evocative Ferraris of the 1950s and feature the most advanced sports car technology available today. Aimed at dedicated clients and collectors, the Monza SP1 and SP2 reference the iconic Ferrari racing barchettas of the past, not least the 1948 166 MM, which originally inspired the name ‘barchetta’, and the 750 Monza and 860 Monza. Designed with the sole aim of winning, these uncompromising models helped build the Ferrari legend in the 1950s by delivering numerous victories in the World Sports Car Championship. 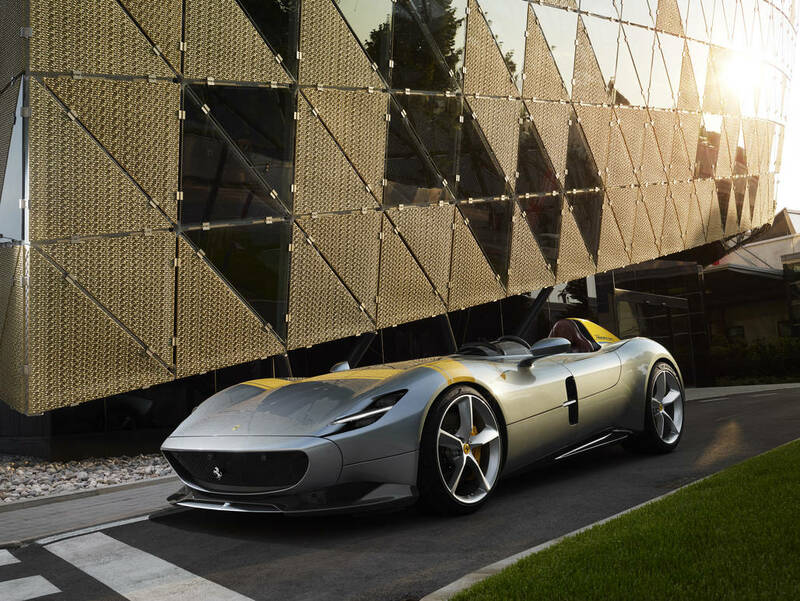 The Ferrari Monza SP1 was designed as an uncompromising single-seat road car that offers a truly unique experience behind the wheel. The second configuration, the Monza SP2, thanks to the elimination of the tonneau cover and the addition of a second protective screen and a second roll-bar, is instead a two-seater enabling the passenger to share the same driving sensations. 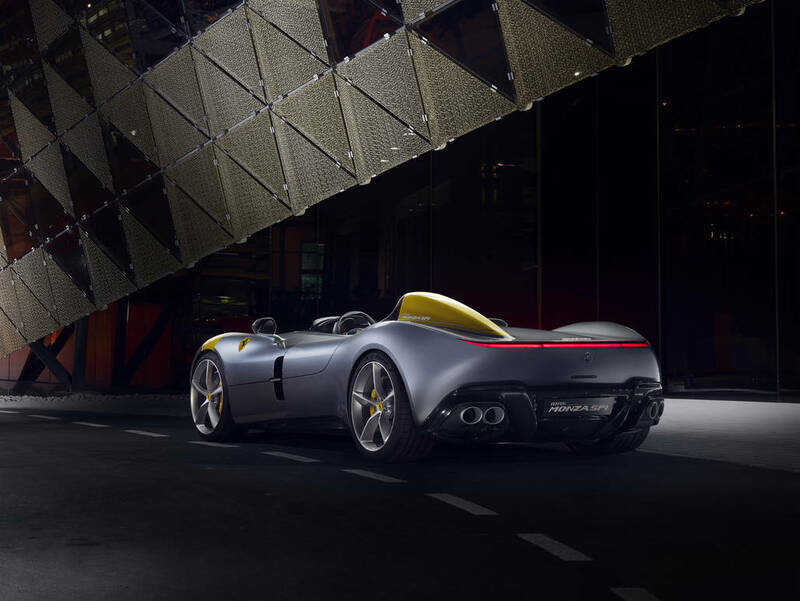 The Monza SP1 and SP2 feature a unique design, the best weight-to-power ratio of any barchetta, thanks to the extensive use of carbon-fibre in construction, and distinctive details, such as head-and tail-lights, wheels and interior, which further enhance the cars’ exclusivity. Equipped with the most powerful engine Maranello has ever built, a 810 cv V12, they can sprint from 0-100 km/h in 2.9 seconds and 0- 200 km/h in 7.9 seconds. The architecture of the two cars is based on a monolithic form with an aerodynamic wing profile where the complete absence of a roof and windscreen gave the designers the freedom to create unique proportions that would not have been possible on a traditional spider. 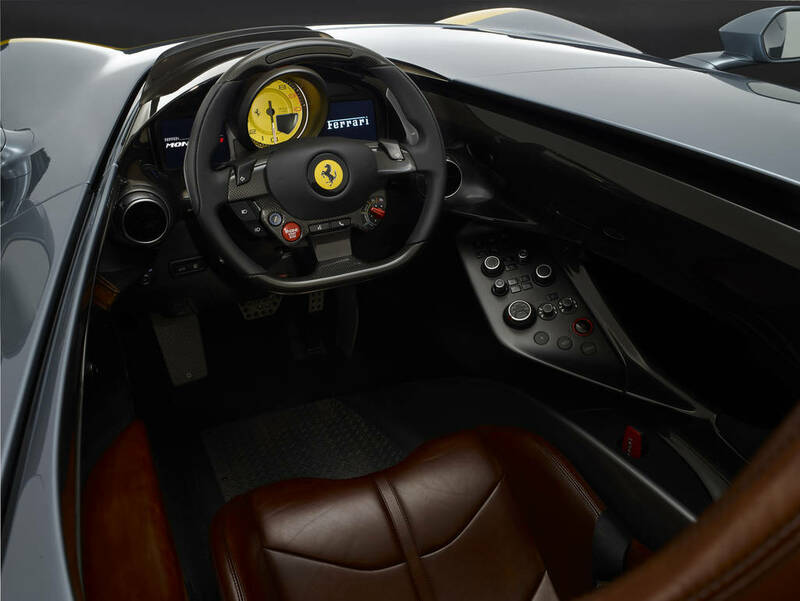 The result is the feeling of blistering speed normally only experienced by Formula 1 drivers, which derives from the concept of a cockpit carved from the car’s very volume that wraps around the driver. The Ferrari Design Centre has sought to create a very pure design, as though born of a single pencil stroke, to convey an ideal of timeless elegance, minimalist form and refined detail. Visually complex solutions, such as those seen on recent racing cars, have been avoided, giving way to a more understated formal design language. Never has a model expressed such a narrative power, highlighting its appeal as a driver’s car where the link between man and automobile becomes symbiotic. A radical choice was made for the design of the cars’ compact doors which open upwards. Equally important is the all-carbon-fibre one-piece bonnet-wing assembly which is hinged at the front to showcase the imposing V12 engine once open. As with racing models, the bodyshell of both cars is made entirely from lightweight carbon-fibre. The entire interior is trimmed in the same material with a natural finish to enhance the sporty impact of the design. Weight reduction and the ‘barchetta’ configuration guarantee unique vehicle dynamics: perfectly balanced with no roll whatsoever for pure, uncompromising sports-car handling. Because these are authentic “en plein air” sports cars, one of the greatest challenges in their design was managing the aerodynamic flows inside the cockpit in the absence of a windscreen. The solution was the innovative patented “Virtual Wind Shield” which has been incorporated into the fairing ahead of the instrument panel and the steering wheel. The “Virtual Wind Shield” deviates a part of the air flow to maintain driving comfort. 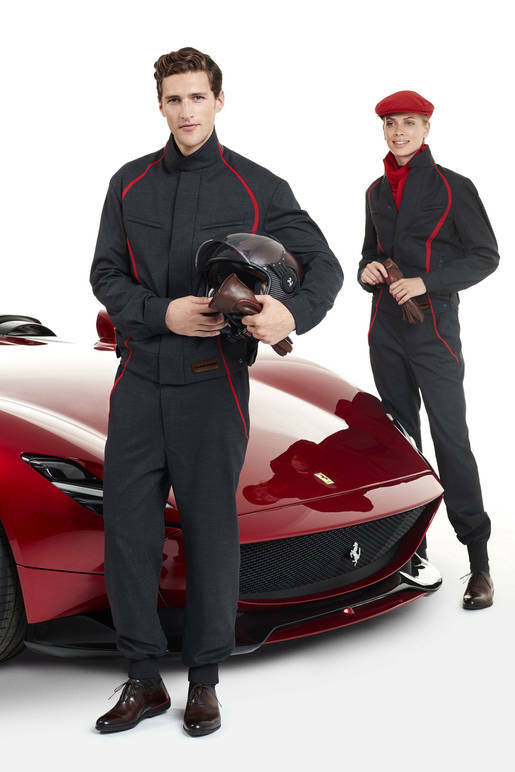 Especially for Monza SP1 and SP2 owners Ferrari, in collaboration with two leading luxury brands, Loro Piana and Berluti, has created elegant gentlemen-driverinspired apparel and accessories. The driver’s selection includes racing overalls, jersey, helmet, gloves, scarf and driving shoes. These feature a number of technical solutions to guarantee a comfortable fit and ensure freedom of movement while driving.